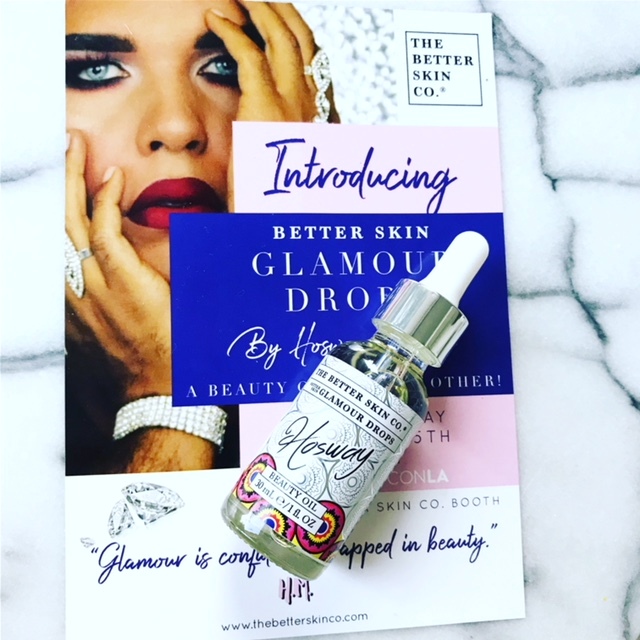 I recently came upon GLAMOUR DROPS, the new luxe facial Beauty Oil by The Better Skin Co. — the brand that pushed the envelope with Mirakle Cream! It’s infused with melon and ginger – and smells and feels so crazy delicious. 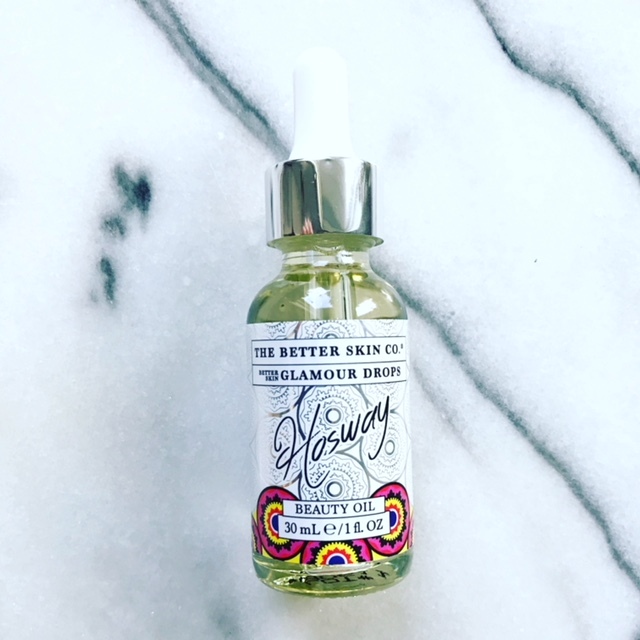 Glamour Drops is really the best beauty oil for your face on the market now! It was developed by mega-beauty influencer Hosway Morbak and contains only the finest of ingredients – watermelon seed oil, rosehip oil, argan oil – you get the gist. I started using face oils about 15 years ago with Dr. Haushka. Back then I thought it was crazy talk to put oil on your face. Won’t it make me break out? It turns out that’s a big fat NO — and the right high-end oil contains antioxidants and fatty acids that aid in anti-aging and protect the skin from free radicals. Glamour Drops is the jam! It’s only $28 but worth so much more! It feels so amazing on your face, neck, around the eyes and on your lips! It hydrates the skin which induces a glow and radiance, creating the perfect canvas for makeup! It’s also a great boost to your normal nighttime skincare routine. For daytime use, apply a few drops of Glamour Drops directly onto your face or the palm of your hand. Gently pat the oil onto your face, neck, lips, etc. after all other skincare has been absorbed (but before sunscreen and makeup). At night, apply Glamour Drops as the last step in your skincare routine. Glamour Drops is available for a limited time on The Better Skin Co.’s website. ++ USE CODE JULY2018 for 20% off!